Scott Sumner has a great post on the very scary state of US housing finance. This is something that many Europeans might not realise, but when it comes to housing finance the US is likely one of the most socialist countries among the developed economies of the world. Yes, that is true – the two largest mortgage lenders in the US is effectively government owned. So to the extent that you think that there was a bubble in US property market prior to 2008 – I am not sure that there was – then you should probably forget the talk about overly easy monetary policy and instead focus on the massive US government involvement in housing finance. The Obama administration and federal regulators are reversing course on some of the biggest post crisis efforts to tighten mortgage-lending standards amid concern they could snuff out the fledgling housing rebound and dent the economic recovery. On Tuesday, Mel Watt, the newly installed overseer of Fannie Mae and Freddie Mac said the mortgage giants should direct their focus toward making more credit available to homeowners, a U-turn from previous directives to pull back from the mortgage market. My god…it seems like the Obama administration wants a new government subsidized subprime market. Good luck with that! The regulatory wave that have rolled over the US banking and finance industry in the past five years has not made moral hazard problems smaller, but rather the opposite and the continued massive government involvement in housing finance is seriously adding to these problems. It is very clear that the US housing finance system over the past couple of decades has become insanely politicized. An example is Mr. Watt – the newly appointed overseer of Fannie and Freddie. Mr. Watt do not have a background in finance or in economics. Rather he is a career politician. Is a career politician really what you want if you want to avoid moral hazard? I think not. In his great book The Great Recession – Market Failure or Policy Failure? Robert Hetzel spells out how the present housing finance debacle in the US started back in the 1990s during the Clinton administration – with strong bi-partisan support I should say. (See particular 10 in Bob’s book). Hence, the Clinton administration set ambitious goals to raise homeownership in the US in a document called “The National Homeownership Strategy: Partners in the American Dream”. It is hard to avoid the conclusion that there is a clear connection between the US government’s stated goal of boosting homeownership and the actual sharp increasing in homeownership from around 1995. 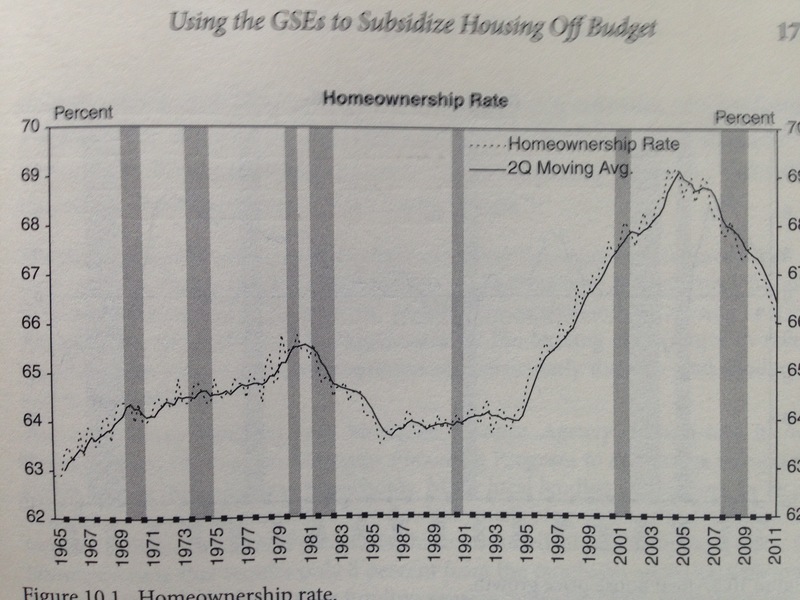 Therefore, I also find it likely that the sharp increase in housing demand from the mid-1990s was a result of US government policies to subsidize housing finance rather than a result of overly easy monetary policy. There certainly also were other reasons such as demography, but direct and indirect subsidizes likely were the main culprit. The US government involvement in housing finance has been an utter failure. It has strongly increased Too Big To Fail problems and moral hazard in the US financial system and the latest initiatives are likely to further increase the risk of a new housing crisis. There in my view is only one solution and that is to get the US government completely out of housing finance and to significantly scale back the US government’s (and the Federal Reserve’s) involvement in the credit markets. There are no economic valid arguments for why the US tax payers should subsidize housing finance. Obviously one can argue that such badly needed reforms in the near-term could tighten financial and credit conditions, which effectively could cause a tightening of monetary conditions (through a drop in the money-multiplier). However, this is no argument against such reforms. 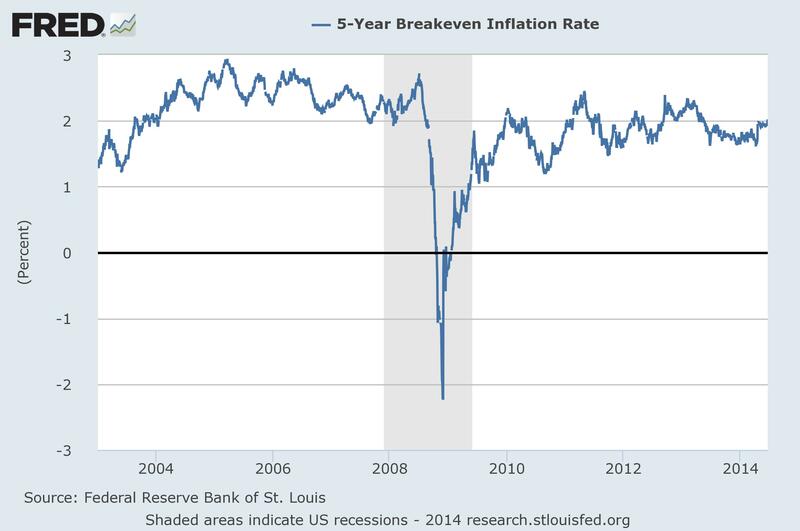 Rather it is yet another argument why the Fed should implement a strictly rule based monetary policy – preferably a NGDP target. If indeed housing finance reforms where to tighten credit conditions and cause the money-multiplier to drop then this can always be counteracted by an increase in the US money base. This of course would happen quasi-automatically under a strict NGDP target. In that sense there is also a good argument for the Fed and the US government to coordinate such reforms. The US government should reduce its role in the credit markets to a minimum, while the Fed should commit itself to maintaining nominal stability and if needed postponing tapering or even expand quantitative easing as housing finance reform is implemented. PS I hope this post clearly illustrate that Market Monetarists like Scott and myself are horrified by government involvement in such things as housing finance and that we are deeply concerned about moral hazard problems. We have in the past five years advocated monetary easing to ensure nominal stability, but we have NEVER advocated credit policies of any kind. As a higher level of nominal stability is returning particularly in the US we are likely to increasingly focus on moral hazard problem and yes in 1-2 years time we might start to sound quite hawkish in terms of the Fed’s monetary policy stance, but our views will not have changed. We continue to advocate that governments should get out of the credit markets and housing finance and that central banks should follow clear and transparent monetary policy rules to ensure nominal stability.